Nine years after crossing the finish line in Beijing, Shalane Flanagan gets her Olympic silver medal. Four-time U.S. Olympian Shalane Flanagan has received her 2008 Olympic silver medal after Turkish runner Elvan Abeylegesse tested positive for a performance enhancing drug in a re-testing of the doping samples from the 2007 IAAF World Championships in Osaka. 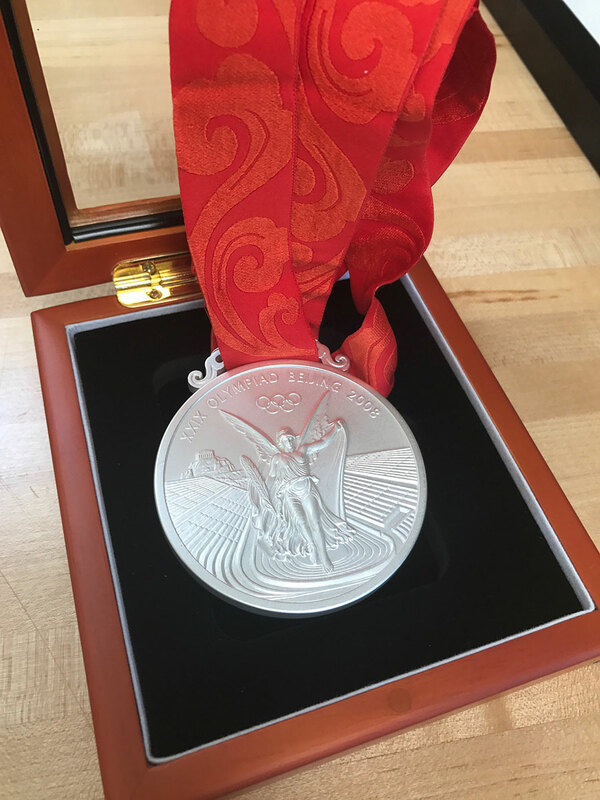 The United States Olympic Committee and USA Track and Field received confirmation that Flanagan received her silver medal at her home in Portland, Ore. on Monday morning. Tirunesh Dibaba of Ethiopia won gold in 29:54.66 with Abeylegesse finishing second in 29:56.34. Flanagan was third in 30:22:22, which stood as the American record until it was broken by Molly Huddle in 2016. Kenya's Linet Chepkwemoi Masai finished fourth in 30:26.50. Flanagan competed at last summer's Olympics in Rio de Janeiro and placed sixth in the marathon. She is the second-fastest American marathoner of all-time with her 2:21:14 from the 2014 Berlin Marathon.